A lot of people understand the role of our immune system, but few truly understand how it works. Many still don’t believe that there are things that can be done to change it. But by making the proper lifestyle and nutrition choices, it’s possible to improve the performance of your immune system, help it resist disease, and shorten the duration of any illness you do catch. 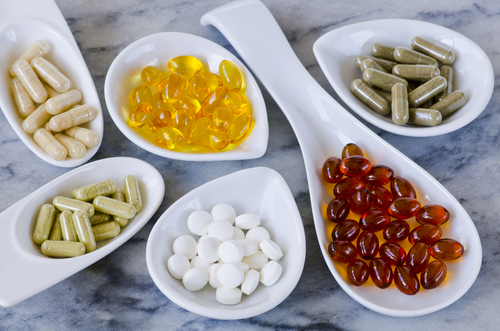 Let’s look at 12 of the best supplements to boost your immune system. Zinc is essential for the immune system to perform properly. It plays a central role in activating T-cells and making sure that they perform their function. The modern diet tends to leave us with a deficit of this critical nutrient. Even a mild deficit can impair the killer cell activity, and that weakens the rest of the immune system. This is why you should consider taking zinc supplements. Common forms include zinc arginate and zinc glycinate. PRP stands for Proline-Rich Polypeptides. PRPs are required for healthy development in young children. They are part of the colostrum new-borns receive. They can also help properly regulate the immune system. PRPs have a number of other benefits. They can improve cognitive function and regulate tissue growth. They help maintain healthy function in the gut. PRPs can also help fight inflammation, which is important since inflammation can provide a way for pathogens to enter the body. If you’re looking for a good PRP supplement, you can consider the variety at Blue Sky Vitamin. Immune PRP Pro by Tonic Sea is one of their best products; it contains a powerful dose of PRP from all-natural sources. Selenium is a mineral many people have never heard of but is required by the body. Selenium is a powerful antioxidant that boosts immune system response and is also essential for immune cells to function. If you eat a lot of seafood or Brazil nuts, you probably are already getting a healthy dose of selenium. But if you don’t, you might want to consider supplementation. You can combine selenium supplements with zinc and vitamin E for better effect. There are many B vitamins. Vitamins B6 and B12 support the immune system. Vitamin B12 fuels cell division and growth. A deficit of this will inhibit the formation of white blood cells. In addition, Vitamin B6 is required to support the biochemical reactions that drive the immune system. That will lead to a reduced immune response if you are ill. Another benefit of taking B vitamins is that it helps protect your gut bacteria from pathogens. This means you’ll reduce your odds of both a respiratory illness and digestive tract infection by taking B vitamin supplements. Vitamin C is required by the immune system to do its job. This is especially true for T-cells and phagocytes. So, a deficit of vitamin C will increase the odds of you becoming ill. There is debate as to whether or not combining zinc and vitamin C helps prevent the common cold. However, zinc and vitamin C are safe to take together and will boost your immune system overall. Mushroom extracts made from shiitake and several similar species contain beta-glucan. This is a powerful antiviral agent. That same substance is also an immune system modulator. In theory, this could inhibit tumor growth. In reality, it can safely boost your immune system. While you could brew a tea from the whole mushrooms, it is easier to take capsules or use concentrated liquid extracts. Elderberry deserves a place on this list because recent studies are showing it is more effective than Echinacea. First, elderberry contains significant levels of antioxidants called anthocyanins. These antioxidants protect cells from damage, and they stimulate the immune response as if you were taking a better-known antioxidant like vitamin C. It has anti-viral properties, too. Studies have shown that it can help reduce the duration of the flu and other upper respiratory infections if you start taking it as soon as you begin showing symptoms. As a side benefit, it can help bring down high blood pressure. Echinacea or purple cornflower has been used in herbal remedies for centuries. Three of the nine known species are commonly used medicinally because they have both antimicrobial and antiviral properties. Echinacea has been shown to reduce the odds that you’ll contract a respiratory infection like the common cold if you take it continually. If you take it at the start of the illness, it reduces the duration of the illness. If you take it on a regular basis, the stress-reducing effects can improve your immune system’s function over the long term. Another benefit of Echinacea is that it enhances the growth of healthy gut flora, which is essential for proper immune function. It has modest anti-inflammatory properties and supports wound healing. Echinacea is sometimes sold alone, but it can also be found combined with green tea, mineral supplements, and other immune-boosting herbal remedies. It is also safe for children, the elderly, and those with compromised immune systems. Vitamin D deficiency is very common in adults and can have many positive effects. A lack of vitamin D has been linked with higher risks of developing seasonal depression. Low vitamin D levels also contribute to an increased risk of autoimmune disorders and greater susceptibility to infection in general. One solution is spending more time out in the sun. Another is taking a vitamin D3 supplement regularly. Cordyceps is a form of fungus and has been used in Chinese medicine for centuries. It has anti-inflammatory properties and is known for boosting immune function as well. Several studies have shown that it could even help prevent cancer. In addition to its immune boosting properties, cordyceps has also been shown to improve memory and learning and reverse the effects of aging. This might be mainly due to its powerful antioxidant capabilities. Cordyceps can be found in both capsules and tablets. Pelargonium sidoides or African geranium is a powerful herbal extract with antiviral, antimicrobial, and immunomodulatory effects. Pelargonium also has great expectorant properties, which helps people suffering from bronchitis, sinusitis or any respiratory infections expel mucus better. Pelargonium can be found in capsule, syrup, tablet or chewable tab form. Larch is extracted from the Western Larch tree and has tons of great benefits. What makes larch so powerful for warding off diseases is a compound called arabinogalactan. Arabinogalactan is a polysaccharide that can boost immune function and help it fight bacterial and viral infections. It has also been shown to be a great defense against the common cold, as well as having anti-cancer properties. Larch can be found in powders, capsules or in liquid form. If you want to improve the function of your immune system, consider adding a few or all of these supplements to your diet, assuming you don’t get them from food sources already. Not only can they help improve your immune system’s performance, but they will boost your overall health as well.